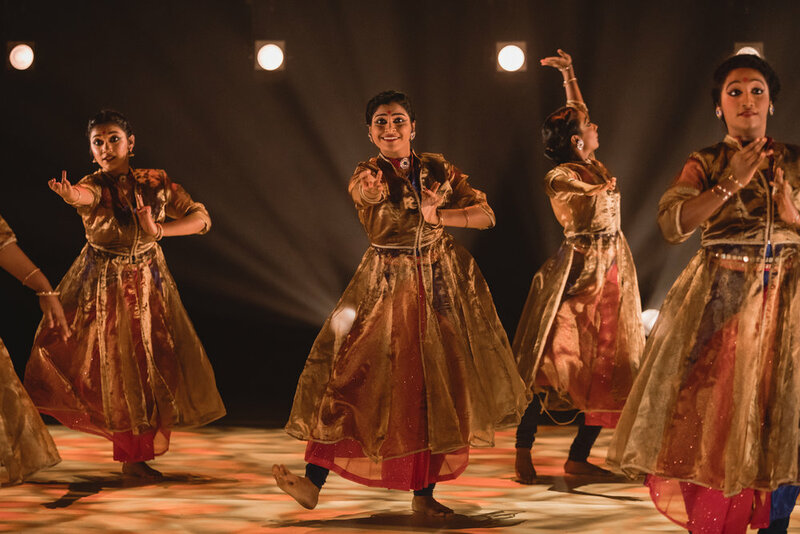 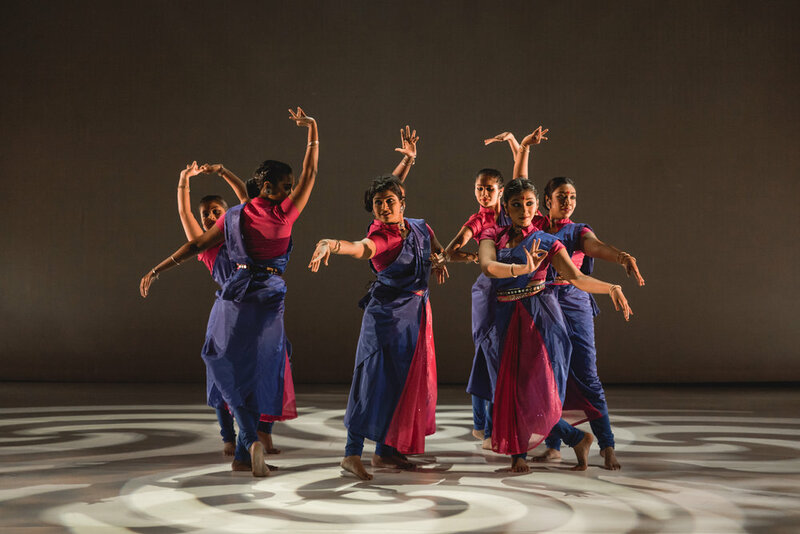 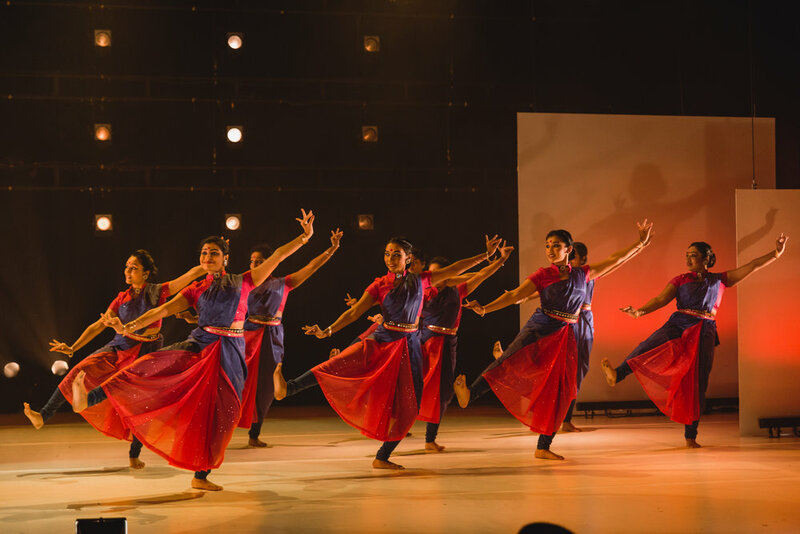 NUS Arts Festival 2016 saw the birth of Sambhavna — a bold experiment to capture the complexity of quantum physics through traditional Indian dance, initiated and created by Cultural Medallion recipient Santha Bhaskar. 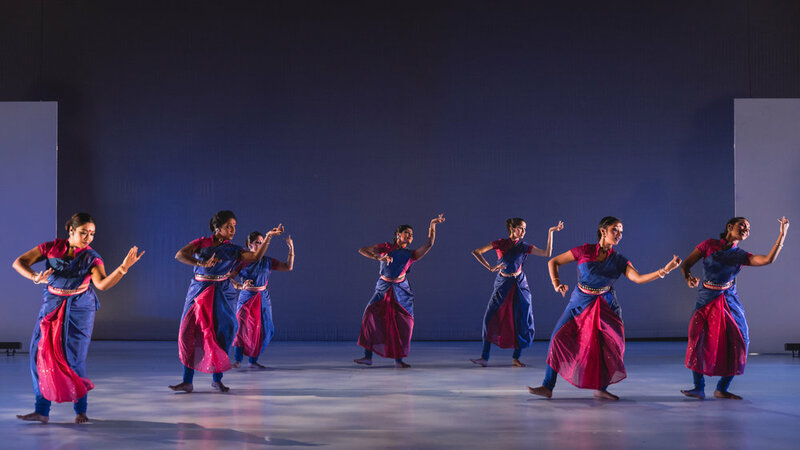 In Sambhvana 2.0, NUS Indian Dance pushed boundaries even further in a full-length work that weaved the delicate movements of classical Indian Bharatanatyam, fundamental concepts of quantum physics and the richness of language in spoken text, in such a way that an understanding of quantum theory that could previously only be comprehended by the brain can be accessed differently and experienced through the various senses. 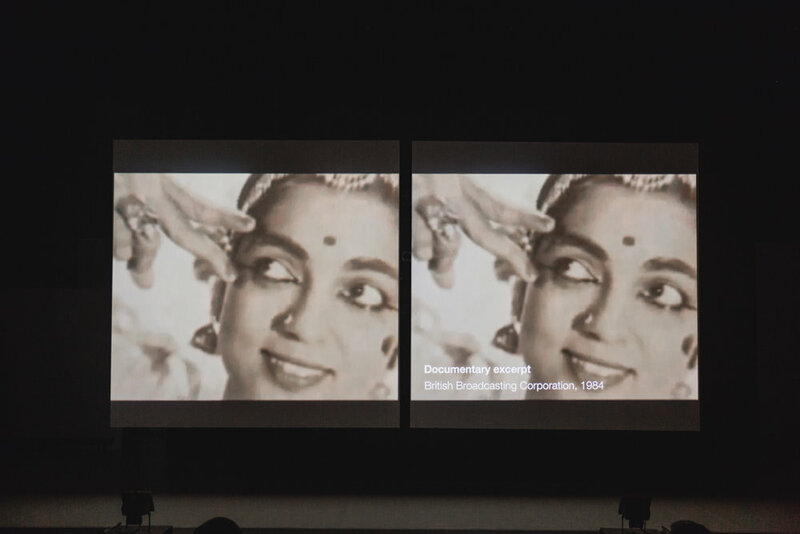 In partnership with the Centre for Quantum Technologies (NUS), Sambhavna 2.0 featured Singapore-based independent interdisciplinary artist Kiran Kumar who worked with Mrs Bhaskar for the first time.